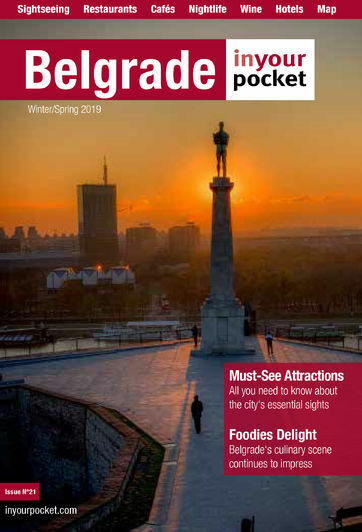 The major symbol of Belgrade, the Pobednik (Victor) statue stands tall in the upper part of the city’s fortress, proudly looking out over the Sava river towards New Belgrade and on to the rest of Europe. Victory is given the form of a naked man with a falcon in one hand and a sword in the other, and this déshabillé was the reason behind the statue’s current position. It was initially supposed to be located on Terazije, but the elderly in the neighbourhood weren’t happy at the prospect of looking at bronze buttocks all the time. The monument was thus moved to Kalemegdan where it has stayed ever since, although it has slowly been tilting.